Last fall, we learned that the first year of U.S. production of the Nissan Leaf electric cars, built in Smyrna, Tennessee, had only 15 percent North American content. This year, the numbers are somewhat better–and they bring the Leaf closer to the domestic-content percentage of other plug-in electric vehicles built in the U.S., including the Chevrolet Volt and Ford Focus Electric. As the land of big pickup trucks and Big Oil, Texas would hardly seem like the kind of place where electric cars could thrive. Yet the Lone Star State is one of the friendliest for plug-in cars which, according to a recent Navigant Research post, have a powerful ally there: utility companies. But ‘nice’ doesn’t come close to describing his newest vehicle, a totally electric Tesla. Detroit can’t seem to get electric vehicles right. The Chevy Volt by General Motors (NYSE: GM ) is only half electric and isn’t inspirational for the high-end market that can go electric. The Nissan Leaf would leave even the shortest commuter with range anxiety. And the Ford (NYSE: F ) Focus Electric doesn’t quite provide enough range or excitement to be a real competitor. Setouchi, a city in the western prefecture of Okayama, will be home to a solar power plant with a generating capacity of 230,000 KW, making it the largest facility of its kind in Japan and one of the biggest in world, the Nikkei business newspaper reported. 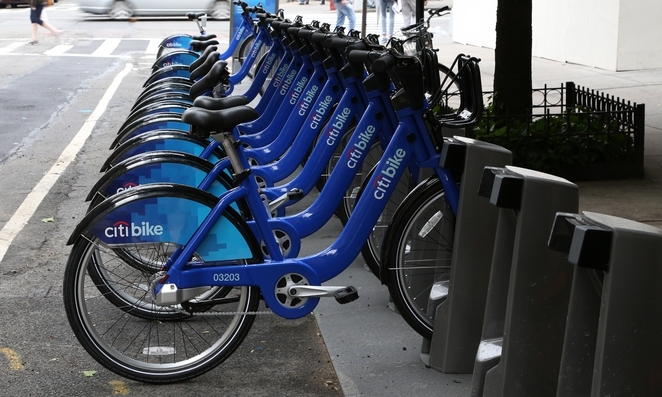 Will NYC’s CitiBike Shared Bicycles Get Add-On Electric Power? New York’s Citibike bike-sharing program may be laudably green, but pedaling isn’t always easy. I have read many articles announcing that the latest car technology will be the solution to our environmental problems, but even I am not blind to the fact that we make decisions based on other things than whole life cost, writes Peter Gudde. Honda is showcasing its energy efficiency technology in a model house built around the electric car at the University of California at Davis. The structure includes provisions for the company’s Fit EV sedan, LED lighting, plus uses solar and geothermal energy sources, according to the automaker.
) growth story continues to accelerate in 2014, though there have been many twists and turns in the road. The abundance of news that comes out about the electric-vehicle maker can make it challenging to keep up to date. So a summary of the notable events involving Tesla during the first quarter of 2014 might prove handy. With days to go before it was to be barred from selling cars in New Jersey directly to consumers, Gov. Chris Christie’s administration has given Tesla a short reprieve. The New Jersey Motor Vehicle Commission will allow the electric car manufacturer to keep selling vehicles at its two New Jersey showrooms until April 15th, it announced today. GM’s plug-in hybrid will now start at $34,995. And if you include rebates, even less. Military battery requirements are growing and changing. Lithium and Zinc based batteries are making their way into military applications. Review of several companies currently delivering equipment in the space.